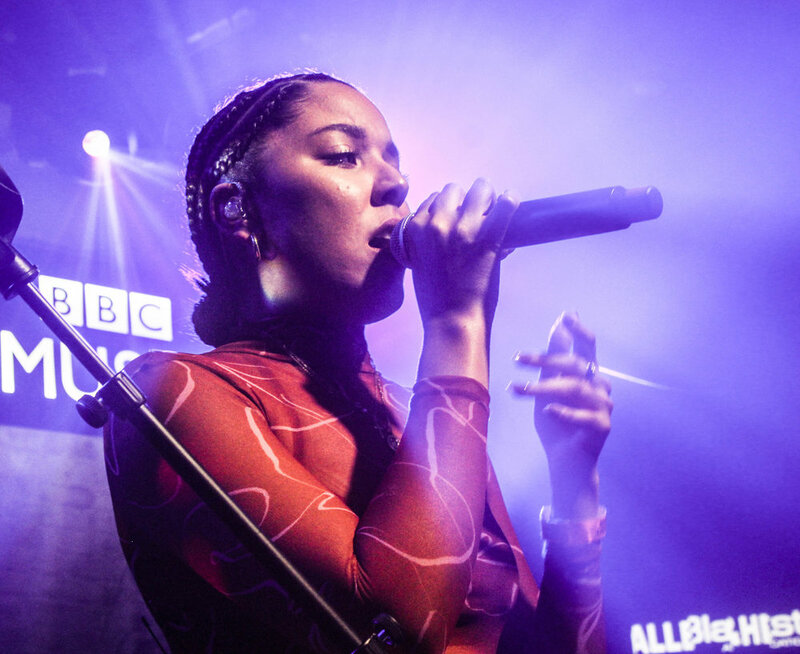 Grace Carter is an artist who received numerous accolades in the UK, including shortlists on both YouTube and MTV’s Ones To Watch lists for 2019. This set the strong precedent for her first step in to the US. Grace let us in to the backstory of each song, it being a privilege to hear such intimate details on her childhood. Unafraid to show where both her pain and anger route from, she particularly emphasis the influence that brought up by a single parent had on her, which her 10-Million times streamed song ‘Silence’ addresses. A subsequent anger fuels a lot of her lyrics, but her delicate vocals transform that energy in to anthemic pop tunes. The Blinders are a Manchester trio who are making sure the routes of rock don’t disappear, as they performed their debut album ‘Colombia’ all over the festival, and it was greatly received. Having the hard task of entertaining the SXSW crowd in the 1am slot on the 6Music night at the British Music Embassy, this only augmented their heavy sound as they had a strongest-ones-remain sort of crowd who had no intention of holding back, giving them an intense response. 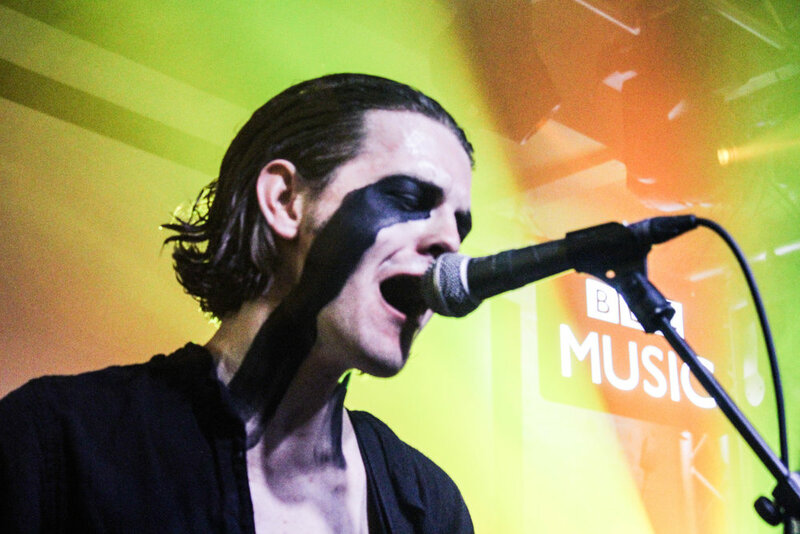 Careful to create an all-rounded artistry in their performance, the band’s lead singer Tom Haywood takes to the stage with black and white make up and co-ordinated black outfit. It’s obvious the band are in control of all of their output, and have no issue identifying who they are. Check back soon for a full feature interview with The Blinders! The group (pictured above) that is bringing rock ‘n’ roll back to grassroots venues, Trudy and the Romance produce music that has recently been lost to a young audience. The festival saw them grab a last minute spot at the 6Music stage with Steve Lamacq as well as a showcase with their US label B3SCI. Song ‘Twist It, Shake it. Rock & Roll’ and ‘The Original Doo-Wop Spacemen’ do what is says on the tin – rock n roll and doo wop. It’s unexpected but was most certainly welcome in a festival taken over by the new wave of electro pop. They let their audience throw back and dance to true rock & roll – which is a style particularly appreciated in the States, but they still carry a youthful vibe not alienating a younger crowd, making sure a fun energy characterises each song. A headline UK tour is soon to follow their US appearances, including a night at London’s Oslo Hackney, where you can see lead singer Ollie Taylor’s funky guitar riffs live in action! 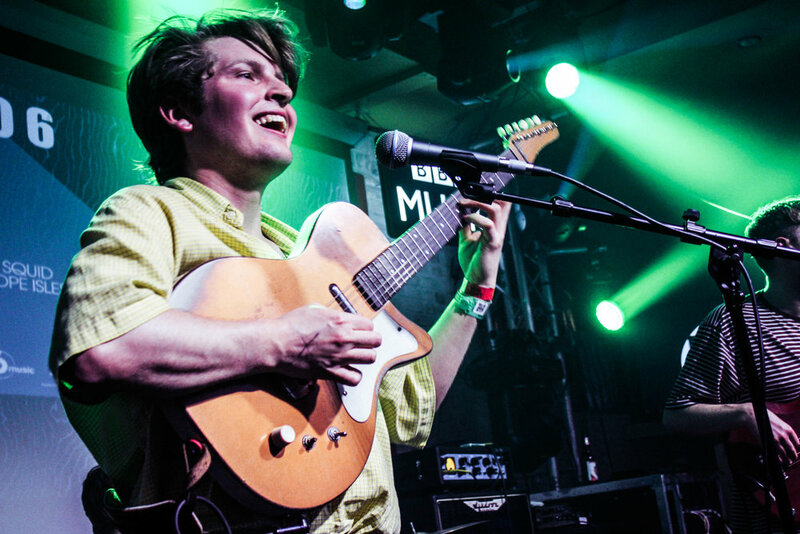 Following a sold out UK tour, The Howl & The Hum introduced their quirky lyrics and guitar riffs to a US crowd opening the BBC Introducing stage. Their set up being a classic guitar-bass-drums-vocals group makes them a popular contender for the American crowd looking for a strong rock group. Ironically inspired by an American news story, their latest single ‘Don’t Shoot The Storm’ was written after reading a news-story about Americans shooting guns in to a tornado. Though making a little bit of fun at the Americans, it’s clear they loved the crowd, as lead singer Sam Griffiths was hard to turn away from as he delivered one of the most dynamic performances I’ve yet seen. Georgia demonstrates herself to be an all-rounded musical genius, as production, live instruments, and strong vocals all add up to create her one-person set up. 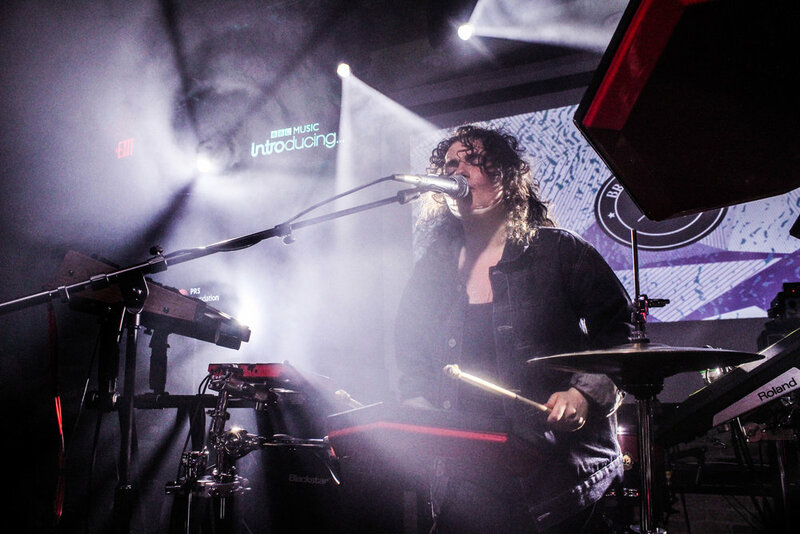 She released her album in 2015, and following the release, stepped away for a couple of years only to return with a huge momentum that has seen her playing the likes of Annie Mac Presents in East London to SXSW this month alone. ‘About Work The Dancefloor’ is her newest track just realised in 2019, and is the one where she is clearly most in her element. Memorable and also every element of the composition adding something important to it, she also moments of pure dance music where she doesn’t sing but makes it a club vibe. 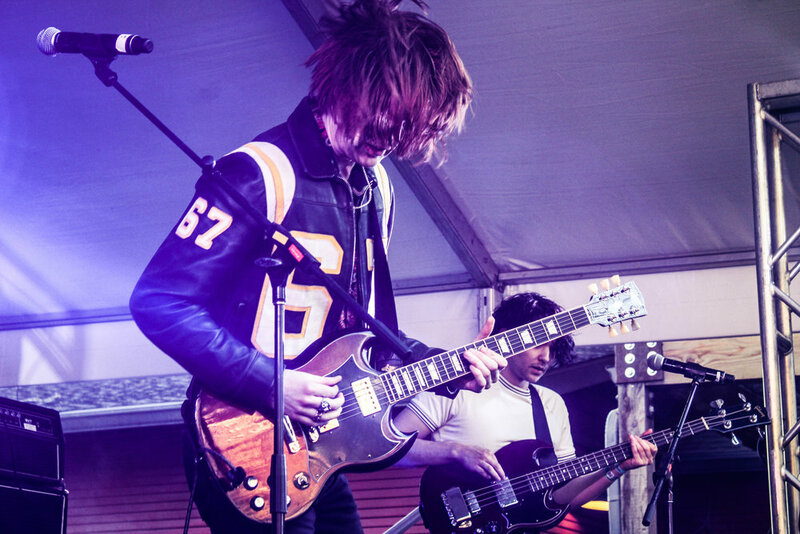 Another Sky add to the range of alternative music that was more prominent at this year’s SXSW than previous ones. Fresh off a 20-date UK tour, the group were closing the BBC Introducing stage. Their almost pitch black stage lighting compliments their ominous music, heightened by Cat Vincent’s deep voice that isn’t comparable to another artist today. ‘Chillers’ is always the most intense and exciting moment of their sets, and closed what was an invigorating half hour. The use of the acoustic guitar amongst the drums and synths creates a quirky raw sound that makes their music so curious you can’t help but try to figure them out. A fellow Fiction Records band with Another Sky, The Amazons have built a foundation back home to let themselves be the leaders of the emerging rock scene, already announced to be performers for this year’s Reading & Leeds Festival on the coveted Radio 1 Stage. The band spent 2018 tucked away in the studio, but starting the new year with release of ‘Mother,’ the band had no issue accumulating old and new fans for their first run of US shows. Their debut self-titled album from 2017 is still raging entertainment for an audience looking for rock music and fit perfectly in both the day and night shows they played. Penelope Isles are a band who are at the very start of their career, with only a couple of releases to their names. However, this didn’t stop them being successfully selected for SXSW by 6Music, as the merit of the band is undoubtable in their 2019 release ‘Chlorine.’ But the band have been continuously writing and touring here and there together for a few years, and this experience as a band together is what made them so slick from the moment they started touring in the last few months.